Caerphilly County Borough Council has today become the ninth Welsh authority to commit to paying the registration fees for its learning support workers, after concerted lobbying by UNISON Cymru/Wales. From this April, all learning support workers in Wales will be required to be registered with the Education Workforce Council (EWC). The registration fee is an annual payment of £15 per person. 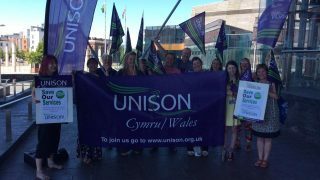 As the union for school support staff, UNISON has been campaigning for local authorities to pay the registration fee for all learning support workers in Wales, and reiterated this message recently to all Welsh Council leaders at a joint meeting. 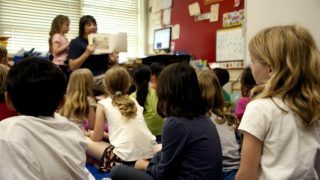 Learning support workers or teaching assistants do vital but unheralded jobs in our schools, supporting underperforming children and those with special educational needs, and helping teachers cope with large classes. 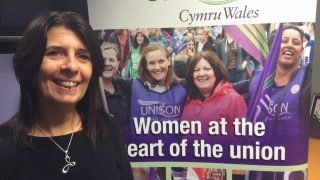 UNISON Caerphilly branch secretary Gary Enright said: “This is fantastic news and we are so pleased the council has been persuaded by the strength of UNISON’s argument. “In a landmark agreement, councillors have committed to making an ongoing payment for teaching assistant fees – not only for the first year. 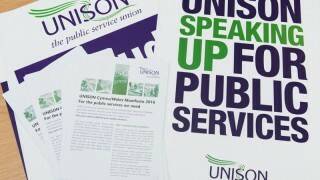 UNISON Cymru/Wales lead organiser for schools Jess Turner added: “Yet another council has recognised the need to pay the fees for its learning support workers, following similar decisions by Cardiff, Bridgend, Swansea, Torfaen County, the Vale of Glamorgan, Rhondda Cynon Taf, Neath Port Talbot and Gwynedd.